Where there is supply and where there is demand, there is potential profit to be made. If you've ever wondered about supplementing your income by reselling used cell phones, it is important to consider the prospect from a number of different perspectives. The basic math behind making money from reselling used cell phones is very straightforward. It's like arbitrage, except instead of buying and selling commodities and securities, you're buying and selling used cell phones and making money on the difference. Put another way, you want to sell the phones for more than you paid to buy them. Inspect the general physical condition. Is it still 100 percent functional? Check to see if it has been reported lost or stolen (blacklisted). Find out if the phone is still under the manufacturer's warranty. Verify what accessories are included with the phone. Find out if it comes with the original box. Do your due research so you are intimately familiar with the fair market value of the phone you are buying, because you want to have a good idea how much profit you can earn from flipping it later on. There are two fundamental ways to increase your profit margin: you can either sell the phones for more money or you can buy the phones for less money. If you are largely buying and selling cell phones in the same few places, particularly online, you will likely experience a difficult time earning a profitable margin between those two transactions. After all, if the phone buyer could have purchased the same phone from the person who sold it to you, then why would the individual pay you a higher price? Unlock the phone: Many cell phones are sold locked to their original wireless carriers. By unlocking the phone, you make it possible for the buyer to use it on his or her choice of networks. Replace the battery: Cell phone batteries naturally degrade with use. Apple has admitted to reducing the performance of iPhone when the battery has degraded to a certain level. By replacing the battery, you restore the phone closer to its original state. Repair the display: If you have the skills and expertise, repairing old cell phones before selling them can be very profitable. One of the most common fixes is for repairing or replacing a cracked display. A phone with a display in great condition is definitely worth more than one in poor condition. Keep in mind that many improvements cost money, so you need to factor in these additional costs when deciding on both your desired purchase price and your ultimate selling price. Many of the places where you might choose to buy used cell phones will also be the places where you might choose to sell those phones too. A common piece of business advice that applies across nearly all industries is that you should go where your customers are. Look into selling on such websites as Craigslist, Amazon, Kijiji and eBay, as well sites focused on selling used electronics such as Swappa or the AndroidCentral marketplace. Local buy/sell forums in your area are also a good option. If you have a number of phones to sell, you may also want to consider selling at a local flea market. Dealing locally can help you and your buyers save on shipping. When listing the phones for sale, be sure to offer good, honest descriptions. Include the current condition of the device, specify if the phone is unlocked, and list any accessories that may be included. If you replaced the battery or made other improvements, it's a good idea to mention that information as well. Brian Meiggs from My Millennial Guide flipped a total of 10 phones in one month for a total profit of $1,137.79. If he were to keep up the same pace for an entire year, he would net a total annual profit for over $13,000. Grayson Bell of Debt Roundup experienced a similar range after learning "a few tricks," eventually generating a steady cash flow of around $1,000 in monthly profit. Figures can depend on a number of factors, like prevailing market conditions, negotiation skills (both as a buyer and as a seller), and how much time, effort and money you are willing to invest to make money selling used phones. It is definitely possible to make money reselling used cell phones for a profit. However, there will always be an element of risk involved. For example, you could lose money if you fail to sell a phone for more than you paid for it. There is also the consideration of operating capital. 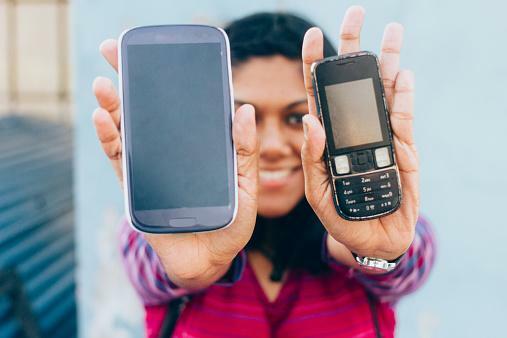 If you buy ten used phones to sell for $300 each, you've already invested $3,000. If you buy these phones on a credit card and do not immediately pay off your balance in full, the resulting interest charges can quickly decimate any profits you may have earned. Treat this endeavor like a business and go in with a solid plan.